This article is about the philosopher. For other uses, see Karl Kraus (disambiguation). Karl Christian Friedrich Krause, Lithography published in Die reine d.i. allgemeine Lebenlehre und Philosophie der Geschichte, Göttingen 1843. Karl Christian Friedrich Krause (German: [ˈkʀaʊzə]; 6 May 1781 – 27 September 1832) was a German philosopher, born at Eisenberg, in Saxe-Gotha-Altenburg. His philosophy, known as "Krausism", was very influential in Restoration Spain. Educated at first at Eisenberg, he proceeded to the nearby University of Jena, where he studied philosophy under professors Friedrich W. Schelling, G. W. F. Hegel and Johann Gottlieb Fichte and became Privatdozent in 1802. In the same year, with characteristic imprudence, he married a wife without dowry. Two years later, lack of pupils compelled him to move to Rudolstadt and later to Dresden, where he gave lessons in music. In 1805 his ideal of a universal world-society led him to join the Freemasons, whose principles seemed to tend in the direction he desired. He published two books on Freemasonry, Die drei ältesten Kunsturkunden der Freimaurerbrüderschaft and Höhere Vergeistigung der echt überlieferten Grundsymbole der Freimaurerei in zwölf Logenvorträgen, but his opinions attracted opposition from the Masons. He lived for a time in Berlin and became a privatdozent, but was unable to obtain a professorship. He therefore proceeded to Göttingen, where he taught Arthur Schopenhauer and afterwards to Munich, where he died of apoplexy at the very moment when the influence of Franz von Baader had at last obtained a position for him. One of the so-called philosophers of identity, Krause endeavoured to reconcile the ideas of a God known by faith or conscience and the world as known to sense. God, intuitively known by conscience, is not a personality (which implies limitations), but an all-inclusive essence (Wesen), which contains the universe within itself. This system he called panentheism, a combination of monotheism and pantheism. His theory of the world and of humanity is universal and idealistic. In many ways following the general outline of Schelling's Philosophy of Nature, he argued that the world itself and mankind, its highest component, constitute an organism (Gliedbau), and the universe is therefore a divine organism (Wesengliedbau). The process of development is the formation of higher unities, and the last stage is the identification of the world with God. The form which this development takes, according to Krause, is Right or the Perfect Law. Right is not the sum of the conditions of external liberty but of absolute liberty, and embraces all the existence of nature, reason and humanity. It is the mode, or rationale, of all progress from the lower to the highest unity or identification. By its operation the reality of nature and reason rises into the reality of humanity. God is the reality which transcends and includes both nature and humanity. Right is, therefore, at once the dynamic and the safeguard of progress. Ideal society results from the widening of the organic operation of this principle from the individual man to small groups of men, and finally to mankind as a whole. The differences disappear as the inherent identity of structure predominates in an ever-increasing degree, and in the final unity Man is merged in God. The comparatively small area of Krause's influence was due partly to him being overshadowed by Schelling and Hegel, and partly to two intrinsic defects. The spirit of his thought is mystical and by no means easy to follow, and this difficulty is accentuated, even to German readers, by the use of artificial terminology. He makes use of Germanized foreign terms which are unintelligible to the ordinary man. His principal works are (beside those quoted above): Entwurf des Systems der Philosophie (1804); System der Sittenlehre (1810); Das Urbild der Menschheit (1811); and Vorlesungen über das System der Philosophie (1828). 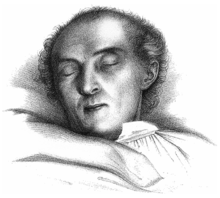 He left behind him at his death a mass of unpublished notes, part of which has been collected and published by his disciples Heinrich Ahrens (1808–1874), Krause's son-in-law Hermann von Leonhardi (1809-1875), Guillaume Tiberghien (1819-1901) and others. Krausism became particularly influential in Spain in the 19th century, where Krause's ideas were introduced by Julian Sanz del Rio, an academic based in Madrid. Spanish Krausists combined an emphasis on scientific rationalism and a liberal commitment to individual freedom and opposition to privilege and arbitrary power with Christian spirituality. Spanish intellectuals influenced by Krause included Francisco Giner de los Ríos and Gumersindo de Azcárate. In addition Kraus's influence extended to Latin America, where his work made an impact on Hipólito Yrigoyen, José Batlle y Ordóñez and Juan José Arévalo. Richard Gott has argued that Kraus influenced José Martí, Fidel Castro (through Martí and other Cuban thinkers), and Che Guevara (through the influence of Yrigoyen). ↑ Heywood, Paul (2003). Marxism and the Failure of Organised Socialism in Spain, 1879-1936. Cambridge: Cambridge University Press. pp. 21–23. ISBN 9780521530569. Retrieved 8 May 2014. ↑ Delaney, Jeane Hunter (February 2001). "Karl Christian Friedrich Krause and His Inﬂuence in the Hispanic World (review)". Hispanic American Historical Review. Duke University Press. 81 (1): 176–178. doi:10.1215/00182168-81-1-176. Retrieved 7 May 2014. ↑ Gott, Richard (2002). Karl Krause and the Ideological Origins of the Cuban Revolution (PDF). University of London Institute of Latin American Studies Occasional Papers. London: Institute of Latin American Studies. ISSN 0953-6825. Retrieved 8 May 2014. Histories of Philosophy by Eduard Zeller, Wilhelm Windelband and Harald Høffding. Rafael V. Orden, 1998. El Sistema de la Filosofía de Krause. Génesis y desarrollo del panenteísmo. UPCo, Madrid (Spain). ISBN 84-89708-30-4. Thomas Ward, 2004. La teoría literaria. Romanticismo, krausismo y modernismo ante la globalización industrial University, Mississippi: Romance Monographs, No. 61. ISBN 1-889441-14-7.